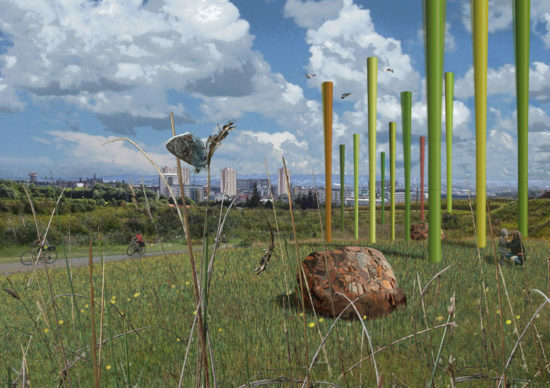 Peter Yeadon (Associate Professor, Interior Architecture) and his collaborators in Scotland have had their public art sculpture, Wind Farm, published by XXI Architecture & Design Magazine in Istanbul. In her article Public Art to Generate Green Power Hülya Ertaş noted that the permanent installation uses an innovative form of oscillating wind power to generate electricity at the scale of urban infrastructure. Capable of powering about 300 dwellings, the project will be an important part of the creation of park-like spaces that are integrated into the fabric of the new mixed-use development currently being planned for Dundas Hill, in Glasgow, Scotland.